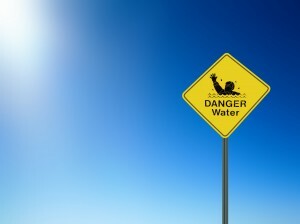 It may not look like the market is drowning, due to lack of inventory and multiple offers situations that are creating short-term appreciation (another mini bubble), but rest assured that there is still inventory to come. Steven Miller from the Nevada Policy Research Institute recently wrote an article about the effects of Nevada’s non judicial foreclosures in light of AB 149 and AB 284 with a comparison to Arizona’s non judicial foreclosures. It’s a little long but has plenty of graphs and tables for the visual learner and definitely worth the read. According to Miller, Phoenix home prices have been trending upward since September of 2011 while Las Vegas prices continue to fall. (I understand that Reno/Sparks weren’t hit as badly as Las Vegas but we’re covering a state assembly bill not city or county.) Miller believes the biggest reason for Phoenix’s appreciating is lack of government regulation. Prior to 2009, Nevada’s non-judicial foreclosure proceedings ran similar to Arizona’s. In 2009, AB 149 was passed requiring all lenders to participate in a court-structured mediation…. Adding time to the foreclosure process. October of 2011 brought AB 284 which requires lenders to provide numerous documents showing viable ownership and makes it a category C felony if they file improperly…. Adding time to the foreclosure process. So we understand that the process is going to take longer for the foreseeable future but what does it mean for the future of the Reno Real Estate market? 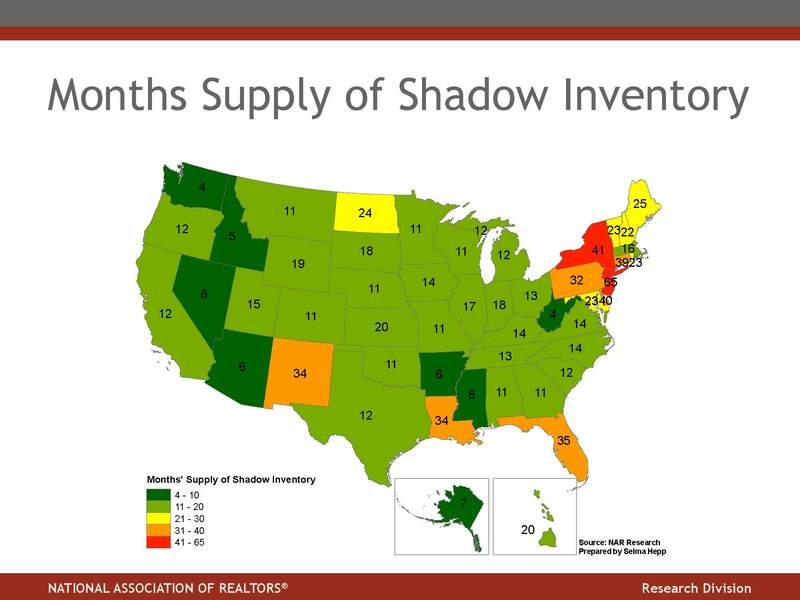 Below is a table of estimated levels of shadow inventory state by state in fall of 2011, prior to the passing of AB 284. Nevada had an estimated shadow inventory�(excluding current short sale defaults and HAMP mods) of 8 months. Hopefully, we will get another report at the end of Q1 2012 to see how much inventory has built up. We can add 45 days to this for pre-foreclosure marketing, cash for keys, and trash outs prior to re-selling. Then we can add another 3 months (high estimate in this market) for the property to be sold to another buyer. By my calculations the inventory should be down to a manageable amount or at least not overwhelming in 12.5 months. 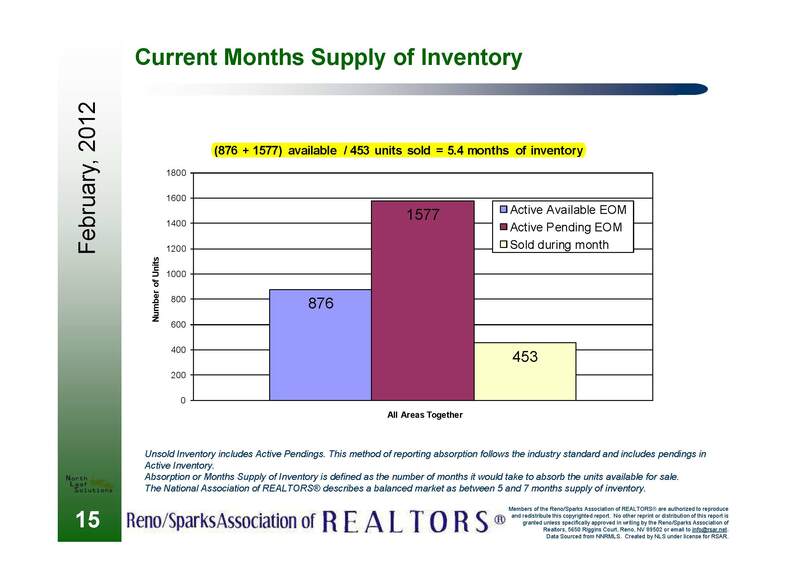 In February of 2012, we had an average of 5.4 months of inventory in Reno/Sparks (see table below).� Add that to the estimated level of shadow inventory, including pre-foreclosure marketing and re-sale, and we end up with 17.9 months. On the calendar that puts us into October of 2013. AB 284 has already added six months (maybe more in the future) to market correction since October of 2011. Add those six months to the projection without AB 284 and we’re� pushing into April of 2014. Making Nevada look more like the judicial foreclosure states of Florida and New York. Though the banks are starting to push through the assembly bills we see continued foreclosure problems in the coming months. Maybe my math is too simplistic but it doesn’t look like AB 284 or AB 149 have done anything but hurt the market. I understand that the bills were created to protect home owners but is someone really going to get out of not making their payments by forcing the bank to wait 6-12 more months to foreclose? I’d rather have it be over with as quickly as possible and on the road to recovery instead of dragging out until my 2 year old graduates from college. Posted in For Buyers, For Sellers, Market Update and tagged nevada ab 284 ab 149, nevada foreclosure laws, reno buyer's broker, reno buyers agent, reno foreclosure laws, reno foreclosure REO, reno home buyer agent, reno real estate market inventory, reno shadow inventory.